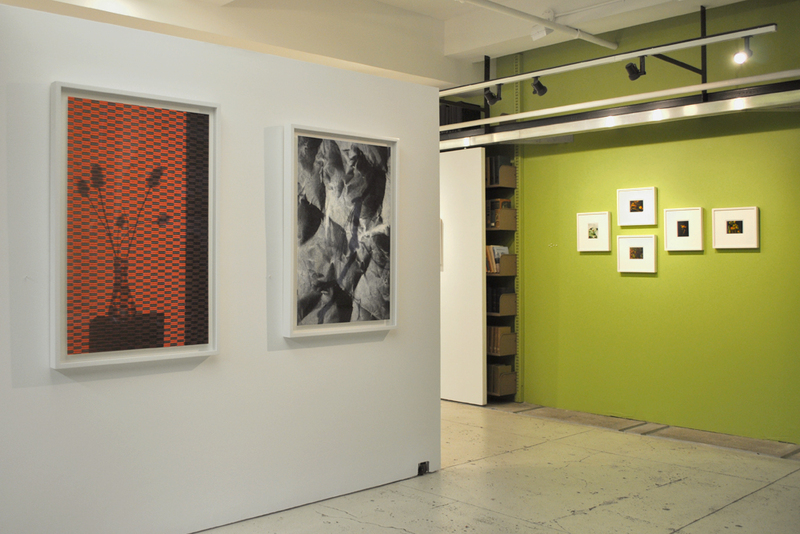 Installation view: Nature Morte, The Horticultural Society of New York, December 7, 2011 – February 10, 2012. Miranda Lichtenstein, Untitled #8 (flower), 2002-05, Polaroid, 4 3/16 x 5 3/16 inches each, Courtesy of the artist. Installation view of Nature Morte with (from left to right): Sharon Core, Miranda Lichtenstein, and Corin Hewitt. Three photographs from Corin Hewitt's Seed Stage, 2008, Courtesy of Laurel Gitlen, NY. From Sharon Core's "Early American" series: Still Life with Steak and Asparagus (2008) and Still Life with Flowering Tobacco (2009). Courtesy of Yancey Richardson Gallery, NY. Sharon Core, Early American, Still Life with Steak and Asparagus, 2008, Chromogenic print, 17 ¼ x 23 ¼ inches, Edition of 7, Courtesy of Yancey Richardson Gallery, NY. Installation view of Nature Morte with Miranda Lichtenstein's polaroids and Corin Hewitt's Drying Flowers with Microwaves (2010). Miranda Lichtenstein, Untitled #1 (fruit), 2002-05, Polaroid, 4 3/16 x 5 3/16 inches, Courtesy of the artist and Elizabeth Dee, NY. Installation view of Nature Morte with Miranda Lichtenstein's Screen Shadows and polaroids. Miranda Lichtenstein, Screen Shadow #18 (Red Bottle), 2010, Archival pigment print, 40 x 25 inches, Edition of 5, Courtesy of the artist and Elizabeth Dee, NY. Installation view of Miranda Lichtenstein's polaroids. Installation view with Sharon Core's Early American, Still Life with Chinese Export Basket (2007) and Miranda Lichtenstein's polaroids.